The Zeagle Ranger BCD can be described in three words—versatile, rugged and comfortable. These qualities have made this BCD a highly-recommended diving gear to intermediate and expert divers. Zeagle is a brand known for the design and durability of its products. It once again showcases that good reputation with the Ranger, which is a very tough, adjustable and versatile BC. It is one of the first BC to combine rear flotation, weight integration and topnotch construction. It also features Zeagle’s patented Ripcord system which lets users to release weights from both side with just a single pull and the manufacturer’s Personal Fit System (PFS) modular sizing. 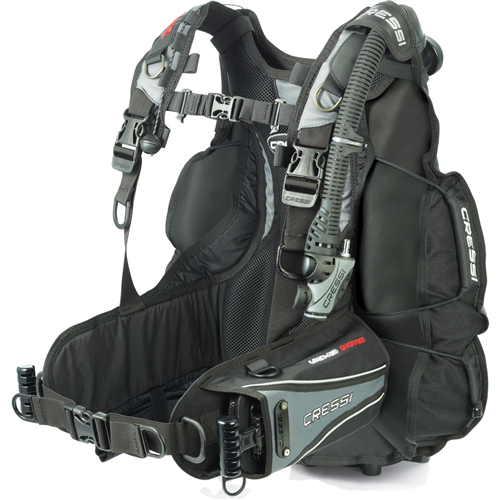 This is a great BCD for divers who want more than a recreational buoyancy compensator device. It can last for a long time and complement almost all types of diving. Versatility is one of the strongest characteristics of the Zeagle Ranger. This BCD would work for almost all types of diving, whether the user is into tropical diving, cold water diving or in wet or dry suit. This is due to the modular construction of the BCD that even allows it to have up to 38 kilograms of lift with optional bladder assemblies. It can even hold dual tanks, making it an excellent choice for novice and intermediate divers who look to expand their diving capability. Moreover, it is compatible with different bladders, pockets and accessories. The standard bladder is equipped with a 20-kilogram lift capacity. The waist closure is of a single buckle with elastic waist panels. The two zippered utility pockets are deep and spacious enough to store items like dive lights, reels and gloves. It has six stainless and angled-D rings on the shoulders, two of which are adjustable. Another two are placed on the vest for accessory attachments. This BCD is also made to last. It is made of reinforced Cordura 1050 ballistic denier nylon. Further boosting the durability and strength of the unit are radio frequency welded seams and urethane internal lamination of the inner bladder. Aside from fitting the waist and chest sizes, the system allows adjustment of various components. There is a dual position and adjustable sternum strap and shoulder straps adjustable at the torso level. The waist strap also has an adjustable elastic cummerbund. All these have squeeze-style side release buckles for quick and hassle-free donning. Then there’s the patented ripcord system that Zeagle BCDs have become very popular for. Designed after the release system used by skydivers, it remains the only weight release system that immediately releases weights with a single pull. Unlike other weight release systems that require two hands for operation, the one-handed operation of the ripcord system is very quick, simple and most importantly, effective. The integrated ripcord system has a 46-pound capacity. Divers can release 36 pounds while the remaining 10 pounds are non-diver releasable for enhanced weight distribution and balance. Reducing buoyancy is also easy with the two dump valves in this BCD. The shoulder dump valve and the rear lower dump valve are both cable activated. The Ranger is equipped with the BX Power Inflator System of Zeagle. There’s a 3/8 inch threaded low pressure hose that is quick to connect/disconnect. It has a threaded lower mechanism that lets quick attachment of a garden hose for easy rinsing of the bladder. Rugged design and construction as it is made of durable nylon with radio frequency welded seams; it can last for a very long time. It is ideal for almost all types of divers because it can adapt to different diving needs. Equipped with the Personal Fit System modular sizing of Zeagle that allows the BCD to be custom built for users’ individual needs. The interior of the BCD bladder is easy to wash/clean. Six stainless steel D rings for various accessories and attachments. Very adjustable with straps for waists, shoulder and sternum all with squeeze-style side release buckles. It is a bit heavy at more than 8 pounds. It is quite bulky when stored in a bag. Divers who want to invest in a durable, quality and comfortable BCD should have the Zeagle Ranger in their shortlist. This is the type of BCD that novice and expert divers will love to have. It is more than a recreational BCD what with its impressive combination of top-notch features, superior design and spotless assembly. The bulk and weight of the Zeagle Ranger BCD are the two biggest areas of concern with this product. But it is not exactly marketed as a travelling BCD thus those two issues are to be expected. Only a few buoyancy compensators are as highly-regarded as the Scubapro Knighthawk. This low-profile BC has been a top choice for both technical and recreational divers for quite a while. It is very durable, easy to use, comfortable and well designed. A back inflation BCD, the Knighthawk has been on the market for nearly a decade. Newer and more sophisticated BCs have eventually caught up with it in terms of features, but it remains a good BC for novice divers due to its design, build quality and comfort. Budget-conscious divers will also appreciate its very competitive price. With a good combination of design, comfort and durability, it is not surprising that the Scubapro Knighthawk has remained in the market even if its other competitors have been pulled out or modified by their manufacturers. The Knighthawk may not be the newest BC but when it comes to comfort, this product can compete with the best BCs. Its low profile design maximizes comfort. For starters, the air cells are placed behind the user. This minimizes clutter in front of the diver and lessens the drag that is typically experienced with inflated BCs. It also provides enough room for movement of the shoulders. There is also a molded handle that is built into the inside of the product. Located under the collar, this handle makes it easier to carry the BCD even with the tank and other dive gear adding weight to it. There are also lots of padding in the hard back plate of the BC, including around the collar. The BC also has numerous straps and buckles that tighten from one side. This makes it easier for divers to synch down everything before they go under water. There is also a metal buckle and strap for keeping the tank steady. It’s a tried-and-tested way of securing the tank although users have to undo it first before adjusting the strap’s grip on the tank. Thus, users have to be sure that the tank is in the right position and well secured before they hit the water. 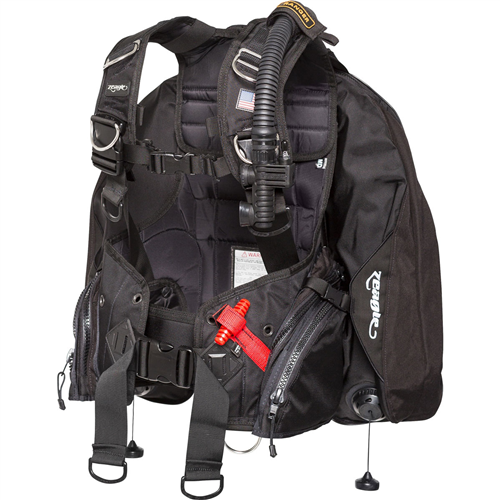 This BCD has a backpack style harness that provides superior comfort and support. There are rotating and quick release buckles on the shoulder straps. Users should be able to find the right strap orientation depending on their preferences. The harness of the Knighthawk has four stainless steel D rings which are also pre-bent. Most divers would find the number of D rings sufficient for attaching additional gear. Two of the D-rings are placed on the harness straps while the other two are located on the waist. There are also two more D-rings made of plastic located on the buckle strap. The integrated weights make the BCD very stable. The Knighthawk can offer about 34 to 46 pounds of lift. These are stored in zippered pouches and tucked into the front sides of the waist. These are secured by a quick-release buckle system. The said zippered pouches can store up to 5 kilograms of weight. There are also two releasable weight pockets with capacity of 10 pounds found on the back of the BCD. The cargo pockets are also separate from the weight compartments thus users won’t lose their gear should they release the weights. The air bladders are tough enough to resist punctures. There are also three valves integrated into it, giving the user more options to control the buoyancy from different positions. These valves also have different shapes, thus users will be able to distinguish them even in the dark. It is made of ultra durable denier nylon and won’t likely break down easily. It is backed by a lifetime warranty. Backpack style harness and hard back plate with lots of padding make it very supportive and comfortable. The storage pockets are small and may not be enough to accommodate pocket masks. These pockets are also a bit difficult to access during a dive particularly when the diver is in gloves. It is bulky which makes it difficult to fold up and place inside a bag. Durability could be the most important trait of the Knighthawk. Made of superior quality denier nylon that doesn’t break down easily, the Scubapro Knighthawk is the type of BCD that divers can use for the rest of their lives. It also doesn’t hurt that the manufacturer backs it up with a lifetime warranty. Aside from durability, the Knighthawk gets good scores for ease of use, comfort, and functional design. While it has its share of shortcomings like small storage pockets and its weight and bulk, the bottom line is that the Scubapro Knighthawk is a durable, comfortable and stable BCD. The BCD provides superior comfort and stability that it practically becomes an extension of a diver’s torso once he or she is underwater. It won’t fall apart even with regular use. It also has features that give it growth potential for those divers who want to get into tech diving one day. If users are able to go past its two real negative points, the bulk and weight, this can be a very good choice for divers, both for novice and experts. The Aqua Lung Lotus is a back inflation BCD especially designed for women divers. It is the follow-up to the best-selling Libra , a weight integrated and back inflation BC that was designed for all types of diving and multiple exposure suits. The Lotus features the manufacturer’s patented Wrapture Harness System that hugs the contours of a female’s body with well-designed curved shoulder straps as well as side lobes for a more secure fit. The SureLock II mechanical system holds in place integrated weights. The Lotus even has a couple of drop-down cargo pockets which aren’t exactly a fixture of back inflation BCDs. There are also eight D-rings for various accessories as well as an octo pocket and a hook-and-loop flap located on the left side of the unit. The weight and trim pockets of the Lotus can manage up to 30 pounds. Comfort is one of the strongest suits of the Lotus. The Wrapture harness system integrated into this back inflation BCD that make it very comfortable to wear even after hours of diving. With the patented swivel shoulder buckles and super-thin backplate, this patented harness system not only provides excellent comfort but also stability. It particularly prevents the buoyancy compensator from riding up on the surface. It also keeps the tank close to the center of gravity whenever the user is out of water. By transferring the weight to the hips, the harness allows the user to stand up straight with a tank that is perfectly vertical. As a result, lady divers will feel that the tank is extremely close to their body. There is also a good chance that they will experience zero tank wobbling while in the water. The low profile and flat valves of the BCD also minimizes drag while the user moves through the water. The padded lumbar as well as the neoprene neck roll enhance the comfort and make the tank’s weight almost a non-factor. The shoulder straps also have a swivel that aids in directing the strap under the arm while the tank valve strap serves as a carry handle. The latter likewise minimizes the impact of the tank to the jacket. Aqua Lung also equips this BCD with its patented SureLock weight system. It makes use of a very simple single-pull release. With this feature, users can easily insert the weight pouch. They can also hear a “click” sound once the weights are secured in the BCD. The weights can be released with a pull of the handle. There are eight D-rings in this BCD. Four are made of stainless steel while the other four are made of plastic. One of the four plastic D-rings is located inside the left pocket. With that many D-rings, users will have plenty of options for their accessories. There are also knife attachment points located on the left lobe that can be used for knives. These knife attachment points are all easy to access. There are also two drop-down pockets in this BCD. The easy-to-access pockets are located on either side of the Lotus. There is also an octo-pocket found on the right lob which secures the octopus and keeps it visible and accessible while the user is under water. Lotus users can also opt for extra accessories like reflector kit, squeeze lock knife and Aqua Lung’s Airsource, an inflator, tracker and hose that eliminates the need for an octopus and allows the diver to streamline her entire system. One of the most comfortable back inflation BCDs for women. Wrapture harness system makes the BCD comfortable to wear even after long hours of diving. Thin backplate and swivel shoulder buckles keep the unit stable. Low profile and flat valves minimize drag as the user moves through the water. Features such as padded lumbar and neoprene neck roll provide superior comfort while minimizing impact of the tank’s weight to the user. Features smart and safety functions like adjustable and removable chest strap, right shoulder pull dump and non-removable weight pockets at the back designed for users to keep a proper trim. The pockets aren’t that big and spacious. Back inflation BCDs like this have a tendency to push the user forward on the surface. The oral inflator mouthpiece is said to come off very easily. 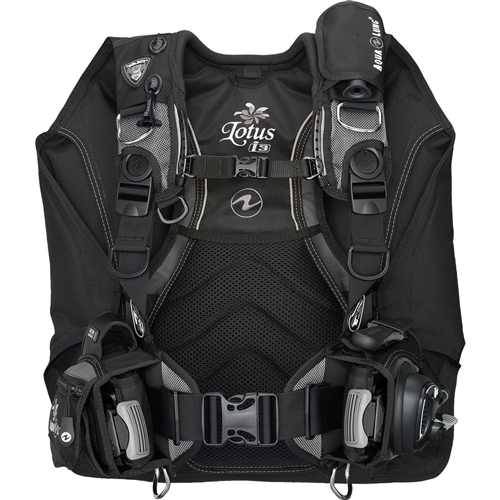 The Lotus is designed to make lady divers comfortable. It features several of the proprietary technologies of the Aqua Lung like the Wrapture integrated harness system that makes it follow the contours of the female body while staying securely in place. The SureLock II system also keeps the integrated weights of the Lotus in place. Its low profile design and flat valves also reduce drag while it has its share of safety functions like adjustable and removable chest strap, non-removable weight pockets and right shoulder dump. All in all, the Aqua Lung Lotus is a great BCD for lady divers. While it has its share of issues like the lack of space in the pockets and its inflator mouthpiece coming off easily, it cannot be denied that its strengths outweigh its weaknesses. It is not surprising why it has become one of the top rated buoyancy compensator devices for female divers today. Hybrid buoyancy compensator devices or BCDs are currently the toast of the diving world. It combines the simplistic, clutter-free design of jacket-style BCDs with the flat horizontal position that back inflated or wings BCDs allow. 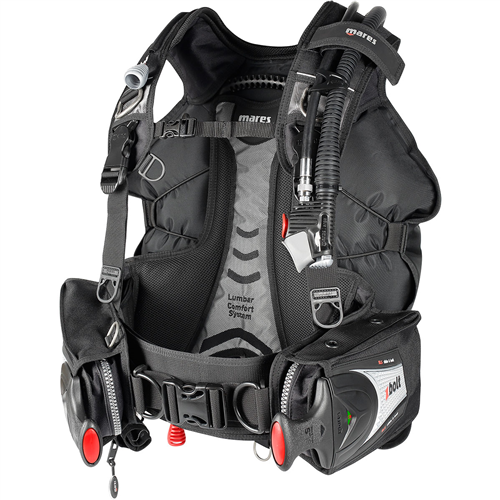 Hybrid BCDs give divers the opportunity to enjoy the best of both worlds, so to speak. There are several hybrid BCDs available in the market today. But when it comes to features, comfort, design and built quality only a few models can match up well with the SEAC Sherpa. SEAC is one of the more reputable names in the diving industry. More than 40 years since it was established by Marco Arata, the firm is known for its well-designed and high-quality diving gear. It once again showcases the superior design and manufacturing of its products with the Sherpa BCD. Packed in features, it is designed with the diver’s comfort and safety in mind. 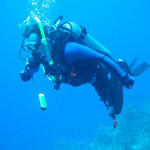 Hybrid BCDs are preferred by many divers because it allows them to be comfortable underwater. The SEAC Sherpa accomplishes that very well. It features a padded backplate with an extended lumbar support. This relieves stress on the shoulders by transferring the weight of the tank onto the hips. Not only does this padded backplate reduce stress on the shoulders; it also gives more comfort and flexibility to the diver. It is also easy to get the right fit with this BCD. It has an adjustable harness system, a proprietary feature of SEAC that allows the user to adjust the harness for a more custom fit. There is also a simple adjustable chest strap right in the middle of the chest. It can be moved up and down with a pinch clip release. A long and extended dump valve is also placed over the right-hand shoulder of the BCD. The second D-ring is placed here as well. There are also some standout features in the SEAC Sherpa. One is the 3D air cell with wings that drape tightly around the tank cylinder. This is designed to improve weight distribution and keep the tank streamlined whether it is empty or inflated. It prevents the tank from moving and helps the user achieve more natural dive. The 3D air cell provides around 55 pounds of lift. There is a nylon webbing band that also keeps the tank in place. Another impressive feature of the SEAC Sherpa is its lift ability focused in the back of the BCD. Regardless of the backside lift positioning, the BCD still allows enough power around the waist for the user to be comfortable while floating. The SEAC Sharpa’s integrated weight system also features a latching mechanism appropriately positioned on the outside which allows users to easily spot and reach for it. As for the storage, the Sherpa has several pockets that have enough space for the essential weight systems that divers often need. The left side pocket also has a couple of knife grommets where a dive knife can be mounted. There are also stainless D-rings with a couple of extras on the shoulder straps. These D-rings are also adjustable to suit the needs of the user. The said rings are pre-bent and slightly lifted away from the shoulder pads to make it easier to clip onto it. Over the left-hand shoulder is a traditional low pressure inflator hose. At the bottom of it is the Seac inflator with a nice and easy to use inflator button. The oral inflation valve is opposite the deflator which is located at the tip of the hose. At the back of the left hand and right hand shoulders are streamlined pull-dumps. Both are easy to locate and use. In the middle these is a big webbing handle which can be used in carrying the unit in and out of the water. With numerous features, the Seac Sherpa will easily stand out. It will appeal to divers who want to get the most out of their hard-earned money. Those who have tried it, however, say that the Sea Sherpa more than lives up to its good reputation. Divers who have tried this BCD give it high scores for its remarkable stability, quick adjustment, superior comfort and ease of set up. It has six D-rings; two more than most BCDs in the market. 3D air cell with wings keep the tank in place, resulting to better weight distribution and a more natural orientation for the diver. Its padded backpack frame provides superior comfort and support to its users and minimizes stress on the shoulders. It has a sternum adjustment that users can adjust for superior fit. Dump valves are all easy to locate and use. It is a bit heavy and big; not the most ideal BC for travel. It is quite expensive and may not be suited for novice divers. This may not fit well on both dry and wet suits with thick undergarments. Seac Sherpa could be one of, if not the best, hybrid BCDs right now. Equipped with plenty of features, a smart design and made of durable materials, the Seac Sherpa not only looks good on paper. It also performs well under water which is what many divers, seasoned or otherwise, would want from a buoyancy control device. Baggage allowances in airlines have become more and more frugal that travelling divers are now putting a premium on weight and size in choosing dive gear like buoyancy compensator device. This is the reason why many BCDs are no longer built like a tank and weigh a lot less than what their predecessors used to in the past. The Cressi Air Travel 2.0 is a lightweight travel gear that also happens to be the newer and better version of Cressi’s popular BCD that was released a few years ago. The name alone gives divers an idea of what to expect from this BCD— an extremely lightweight scuba diving gear that makes a great choice for the travelling diver. Weighing 5.5 pounds, this lightweight BCD also compresses neatly into a carry bag. This could be the best BCD for the travelling diver. The design of the Cressi Air Travel 2.0 was drawn from its predecessor, the Cressi Air Travel BCD which is acknowledged to be a pioneer in the travel BCD range. It is slightly lighter than the older Cressi model with it weighing 5.5 pounds compared to the 5.6 pounds of the Cressi Air Travel. It is not only lightweight but also amply padded; allowing users to comfortably lift it. There are five different sizes available for this BCD, giving users a wide range of sizing choices for the best comfort. The Cressi Air Travel 2.0 BCD is built from 420 Denier nylon which is known to be very durable. The BCD features elastic bungees that are designed to retract the bladder when it is deflated. It lacks a solid black plate. In its place is a semi-rigid, soft-padded and mesh-covered back section that allows users to be comfy when they have it on their backs. There are padded shoulder sections in the harness. The adjustable sternum strap, meanwhile, features three height connections plus clip connections at the joints. The weights have been incorporated into the waist-belt complete with push-ups. The lack of Velcro fastenings is also a welcome design variation. Under water, the BCD offers enough padding in the right places. There are some issues, though on the weight-pouches located on the waistband as its corners can dig into the hips and cause some discomfort especially after an hour of immersion. For storage, users will get one large, roll-down type cargo pocket. It is smartly placed at the bottom of the waist belt. It can be deployed to take an auxiliary kit. When not in use, there are Velcro tabs to hold it in place. The zipped weight-pouches can secure up to 6 kilograms per side. Users will also find the adjustment of the BCD easy with the placement of the D-rings located at the end of the main straps. A standard cambad sits low on the BC and is designed to hold the BC in place on the tank. There is also a secondary strap that is secured by Velcro to provide more stability, as well as a webbing loop that sits over the tank-valve and also doubles as a carry-handle. There are three release valves in this BCD. There’s a pull-tab on the right shoulder that lets them dump air from the top. When the diver is in an inverted position, a pull-tab at the right kidney area will prove to be handy. Dumping air in any orientation is easy with this BCD thanks to the long cords and round toggles that were easy to find. It also helps that the three valves are well positioned. Then there’s the streamlined power inflator which is a better version of the previous model. This ergonomically designed power inflator also features very responsive buttons. Once the diving is done, the BCD can be easily squeezed down and folded up. There’s another Velcro strap that users can turn to for holding it in place. It is lightweight and compact which makes it recommended to traveling divers. It is easy to adjust for a comfortable fit. Provides good support with tank both in the water or on land. It has a very competitive price. It is made of durable nylon material. The weight-pouches located on the waistband can dig into the hips and cause some discomfort. There is no inflate hose included. 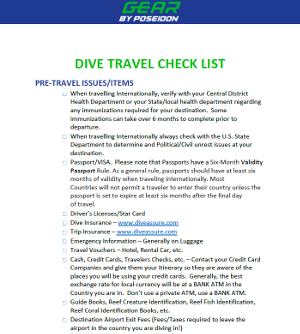 There is no getting away from it – if you travel abroad to dive and would like to spend your hard-earned money on a few beers or an extra dive or two, rather than hand it over to the smiling assassins at check-in, you’ll need to lighten the load. This little BC from Cressi is just the ticket. It’s not a compromise either – the build quality is excellent, because the makers haven’t skimped on materials to reduce the overall weight. It’s just a no-nonsense, very well thought-out and executed product that does exactly what you need – it saves weight and dives great. The Mares Bolt SLS BC is a comfortable, versatile and durable wing-style back-inflation buoyancy compensator device. It provides loads of lift and can handle even double tanks. Despite that, it is surprisingly compact enough for travel. The SLS refers to the “Slide and Lock System” weight system that Mares integrated in this BCD. This weight design displays a green indicator when it is latched. To load, users have to slide the pocket in and press a red tab found on the end of the handle. Some divers say it’s a bit fussy but most users find it easy to use once they got the hang of it. The Mares Bolt SLS provides a solid and comfortable fit without being restrictive. Its harness with full back plate and cummerbund gives nice a nice support to the lumbar area. There are also enough from for accessories with its roll down and zippered cargo pocket and six stainless D-rings that are all well-placed. The Mares Bolt LC BC Vest is nice and lightweight which makes it great for travel. It is also well put together and has almost all the things that advanced divers need from a BCD. On the left shoulder is a traditional low pressure inflator hose. The corrugated hose leads down to the ergonomically designed inflator. Divers simply have to grab and pull it down to activate the pull down over the left hand shoulder. Underneath the low pressure inflator hose is a pre-bent D-ring which is designed for easy and quick clipping of accessories. Right in the middle of the BCD is the chest strap that is adjustable. It also features an emergency whistle, which can prove useful for divers when they need to catch someone else’s attention. Over the right hand shoulder is a small plastic D-ring. It can be used to attach accessories like gauges. The placement is very good as it keeps the accessory close to the diver and thus quick to access. The Mares Bolt SLS has a nice padded backplate. It is made of quick drying material and comfortable enough for carrying the unit even if the diver is on the surface. Around the waist and hip area is a Velcro cummerbund that keeps the unit in position and prevents the BCD from twisting and moving around. There’s a double adjustment hinge clip up front. At the lower right side of the unit is the Slide and Lock integrated weight system. It makes use of a mechanical system holding the pockets in place, ensuring that divers will only fall out when they pull the handle. There’s also a visual indicator on this system which is important especially in low lighting. When the visual indicator is colored green, it means that the system is latched and that those weight pockets aren’t coming out. To remove the weight pocket, the diver simply has to grab hold of the handle and give it a good tug. To bring it back, users can hold to a little D-ring on the inside and then push in a red button at the end to lock the system in position. Divers need not worry as these weight pockets are easy to slide into the Mares Bolt even when they are wearing thick gloves. The SLS is considered as the safest weight system. It comes in weight capacities of 9 and 13 pounds. Storage won’t be a problem with this BC. Underneath the weight mechanism is a roll down cargo pocket with a zipper on top. This is a good place to store small items. You can also make use of the six stainless steel D-rings for accessory attachments. The Bolt may be compact and lightweight but it has loads of lift. It can handle one or two tanks which make it a great choice for technical diving. Made of tough Cordura material, this BCD can hold up to the test of time. This is one comfortable, lightweight and practical BCD that many divers will appreciate. It is comfortable to wear with its padded backplate. Finding the right fit is easy what with the numerous adjustable straps strategically placed in various parts of the BCD. Divers get to enjoy unrestricted freedom using it as the air cell is separated from the harness. Made from durable Cordura 420 material that can last for a long time. The SLS weight system provides visual confirmation of weight pouch insertion which is important especially in low lighting. It is lightweight enough for travel. It has enough room for accessories with its roll down cargo pocket, six stainless D-rings and left side mounting grommets. Some users say that the SLS weight system is fussy. It may take a while for divers to get used to setting up and adjusting the BCD. 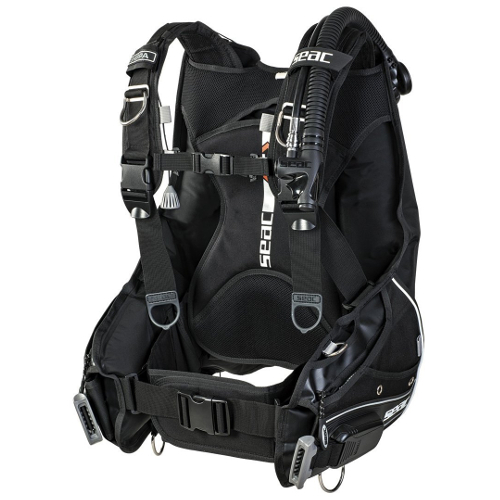 Divers will be hard-pressed to find a BCD that is as feature-rich, comfortable, versatile and lightweight as the Mares Bolt SLS BC Ves. The patented SLS weight system is an outstanding feature of the BCD. It also gets good reviews for its padded backplate that makes the unit comfortable enough for carrying and Velcro cummerbund that keeps it in position and prevents twisting and moving around. Moreover, it is surprisingly light for such a feature-packed buoyancy compensator device. Most travelling divers want a lightweight, comfortable and feature-rich jacket style BC. It’s the diving gear they need the most when they go to a tropical destination and be the fish they’ve always been. With a lightweight BC, divers don’t have to worry about airline restrictions. And when they’re done diving, they can fold their BC and pop it in their bags quickly. The Cressi Travelight, as its name suggests, is the ideal companion for the travelling diver. With a dry weight of 6 pounds, this is the type of BC that packs well for travelling. It can provide good balance while the diver is on the surface. And when it is time to go home, divers can fold it in seconds and into its small carry bag. The Cressi Travelight may be lightweight and compact but its manufacturer didn’t scrimp on features. It is made of light and durable 210 denier nylon. It has contoured shoulders, numerous strap adjustments and plenty of padding to enhance comfort. It comes with its own integrated lock aid quick-release weight system capable of holding up to 9 kilograms (4.5 kilograms in each pocket) and a couple of extra rear, non-releasable trim weight pockets for increased stability in the waters. The Cressi Travelight can be described as lightweight, compact, durable and highly adjustable. There are also numerous places in this BC where extra accessories can be attached to. It also fits snuggly in most divers. As a backgrounder, the design of the Cressi Travelight was based from Cressi’s Flex which is considered by many as the first BCD designed for worldwide travel. With a dry weight of six pounds, this BC features a soft pack design that lets it be folded in seconds. It can then be stowed in its own carry bag. The lightweight frame of the BC all begins with the 210 denier nylon which is as light as a feather but durable enough to last for a long time. 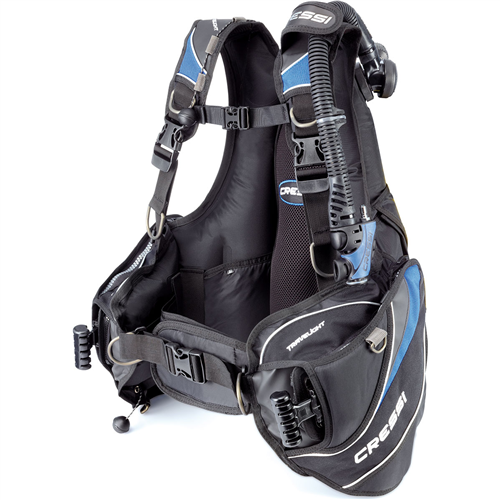 While it is very lightweight, the Cressi Travelight is comfortable enough for most divers. Its contoured shoulders provide superior comfort while the back is amply padded. The padding at the back is not only designed to increase comfort levels while diving but also prevents the BC from sliding around on the diver’s back. There are also a couple of cylinder cam bands designed to provide superior back protection and tank security. It is equipped with the Lock Aid integrated weight system of Cressi that lets divers store up to 20 pounds or 9 kilograms of weight up front and another 10 pounds or 4.5 kilos in the non-releasable back pockets. The integrated weights are very secure and won’t pop out once they’ve been audibly chipped in. These are easy to load and deploy. Since the Travelight is designed to be compact and lightweight, Cressi made a lot of efforts to trim the weight of the BC. The D-rings are made of light alloys instead of the usual stainless steel with the aim of keeping the BC’s weight down. There are two large side pockets for storage. The pockets are big enough to store items like strobe, snorkel, diver sausage, firefly lights and small knife. There’s even enough room for divers to store stuff they may pick up on the dive. It is also fitted with features like valves located in the right shoulder and left shoulder as well as one in the rear. The Cressi power inflator fits well in hand while the shoulder and rear exhaust valve toggles are placed forward thus divers will easily find and access them when needed. The harness system features traditional and reliable squeeze-style and quick release buckles. There are also adjustable straps found in the chest, waist and shoulder areas for precise adjustment and fit. This BC also has a 3/8 inch low pressure hose. It can provide up to 36 pounds of lift. It is available in various color options and five sizes. The manufacturer backs it up with a 24 month limited warranty. It is made from lightweight and durable 210 denier nylon. With a dry weight of 6 pounds, it is ideal for travelling divers who are wary of airline restrictions. It has numerous straps in the chest, shoulders and waist designed to give a good fit to its users. Its two side pockets are large and spacious enough to accommodate all sorts of items. Its D-rings are made of light alloy instead of stainless steel to make the unit more lightweight. The integrated weights are easy to load and deploy. Quickly folds up and stores in a small carry bag. Doesn’t provide as much lift as other BCs. Weight pockets are not covered by the warranty. The Cressi Travelight is a lightweight BC that lives up to its name. With a dry weight of just 6 pounds, this is the type of BC that travelling divers would want for their next diving expedition. Aside from being lightweight, it also folds and fits in small carry bag. It is also packed in features which is quite surprising for such a lightweight and compact BC. Comfort and fit aren’t affected by the lightweight design of the Cressi Travelight. There is also enough space for storing items. And while it doesn’t provide as much lift as other BCs, the Cressi Travelight remains one of the top rated travel-friendly BCs today. What happens when a buoyancy compensator device that’s well-rated is further improved? The classic Seac Icaro was a wing-style BCD that won a lot of hearts with its function, design and durability. But it was not the lightest buoyancy control device available which made some divers think twice about using or buying it. Enter the Seac Icaro 2000. It is an upgraded version of the Icaro, a popular and timeless buoyancy compensator device (BCD). It has a new aluminum back plate, a back-plate cover that’s designed to be more comfortable, and two extra D-rings for a total of six. And while it is rugged and well-built, the Seac Icaro 2000 is surprisingly lightweight. It is also easy to adjust and can provide a customized fit. Make no mistake about it; the Seac Icaro retains some of the features that made the Icaro very popular. It still has the double bladder found in its predecessor. The same goes for the Quick Adjusting System that is a proprietary feature of SEAC. However, with a dry weight of around 2 kilograms, this is the type of wing-style BCD that appeals to most divers who are concerned about airline restrictions. It is so small when packed that it would easily fit in a carry-on bag. The design of the Icaro 2000 can be described as minimalistic but performance oriented. Every part’s size, shape and location is well-thought of and placed. 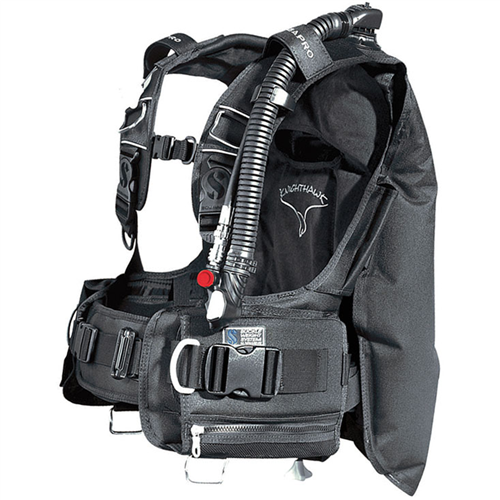 Moreover, the BCD has all the essential features a diver would want from a buoyancy compensator. Take for instance, the small back plate and a more functional compressible air chest that give it a more compact and travel-friendly size compared to its predecessor. Because of its design, it can be comfortably packed into a small bag for travel. It is also lightweight enough to be carried to the beach for a dive. 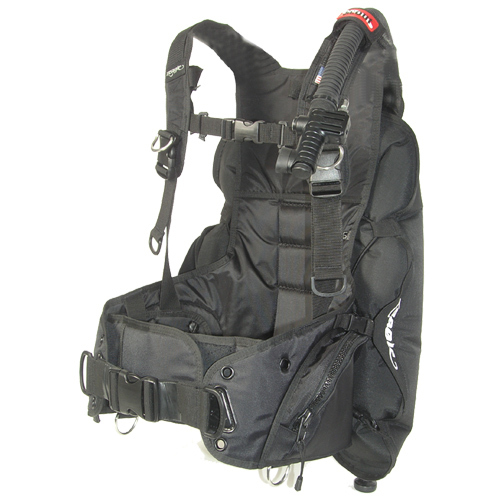 This BCD also has a nice buoyancy lift of 35 pounds which is enough for any diver in need of buoyancy at any point. Even the most demanding and experienced diver will find the buoyancy lift satisfying, as they can wear heavy accessories and cylinders without any problem. As in the case of the old Icaro, the Icaro 2000 has a frame to back system that alllows anchoring of shoulder straps directly to the back plate. This causes the expansion of the bag to have no impact at all on the straps. In turn, divers will find the Icaro 2000 more comfortable to use. It also makes the BCD adapt to various body shapes. Aside from the frame to back system, there are other features in the Icaro 2000 that are noteworthy to mention. There’s the sternum adjustment that is very helpful in getting the right fit. It can be positioned at two various heights. It also has a practical buckles that allow a better fit for different body types as well as posiiton of the drysuit valve. 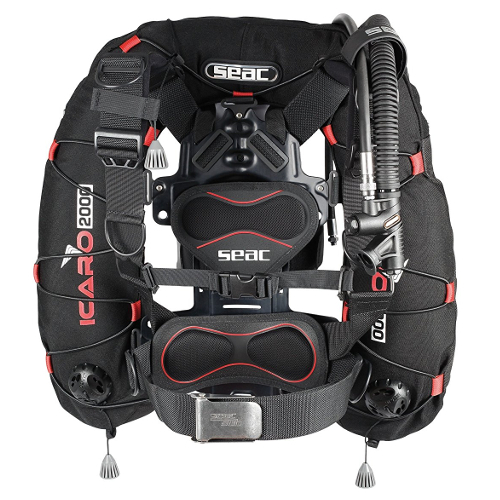 The Seac Icaro 2000 is not only designed to provide a superior fit to users; it is also intended to keep them comfortable even after hours of being under water. There’s soft padding on the back plate, which gives it more points for comfort. There are also adjustable straps which can be accustomed even during an operation. The BCD should be kept securely in place while the diver is underwater thanks to features like breast and crotch strap apart from a cummberband. Durability is also a key characteristic of the Seac Icaro 2000. The outer bladder is made of Cordura 1000 D fabric. Coats of polyurethane provide double security to the outer blade, giving it more resistance to wear and tear. The inner blade, meanwhile, is also made of polyurethane. There are three dump valves attached on the lower back, shoulder and inflator area. These valves also come off easily. The patented “Quick Adjusting System” of Seac facilitates quick fine-tuning of the valves for fit. As for the accessories, the Seac Icaro 200 has six aluminum D-rings that are placed on different areas on the wing. It is designed to customize capacity for various accessories. The cam belt also has enough space for attaching cam weights that can’t be dumped or released. All these features are packed in a BCD with a dry weight of around 4.4 pounds although this does not include the extras like integrated weight pockets. It’s really surprising that a lightweight BCD has all these features. It is a lightweight and compact wing style BCD. It is durable as it is made of polyurethane and Cordura 1000 D fabric. It provides a very high lift. It is easy to find the right fit what with numerous features like quick adjust system and removable jock strap. The Seac Icaro 2000 has retained the good qualities of its predecessor while improving on perhaps the Icaro’s solitary weakness – weight. This BCD is comfortable to use even for extended diving expeditions. It is also easy to find the right fit with this BCD. The Seac Icaro 2000 has gotten a lot of favorable reviews for improving what was already a great design in its predecessor, the Seac Icaro. There are only a few BCDs that can match it in terms of features and compact design. And with the quality diving gear that Seac is known for, it is not surprising that many divers novice and experts alike are heaping praises on this BCD. What makes an excellent entry-level buoyancy control/compensator device (BCD)? Is it the fit? Is it the ease of adjustment? Should a novice diver put premium on durability? Should the BCD be lightweight? Or should it have numerous features? Novice divers will likely have different answers to this question. Some prefer a BCD that is easy to adjust while others prefer a lightweight stab jacket. Others may even say they like a BCD that’s reasonably priced. The Zeagle Scout has most of the qualities that appeal to neophyte divers. It is comfortable and easy to adjust. This low-profile, back inflated BCD is also easy to transport. It’s an excellent buoyancy compensator for beginners who are into warm water diving. It also helps that it is low cost, making it a great choice for individuals who are just getting into the hobby. The Zeagle Scout isn’t as feature – packed as the other BCDs in the market but it’s something one can expect from low priced product. Its minimalist design still more than makes up for the lack of features and make it a practical choice for beginners. Many new divers would want a BC that’s comfortable and fits well. This is what exactly the Zeagle Scout is. It comes with a wide range of adjustment possibilities, enabling users to find the best fit for them. It has a thick lumbar pad, waist strap and wide shoulder straps. All these straps are adjustable. Its Velcro cummerbund can also be adjusted to increase overall comfort of the user. As the lightest and most compact model from Zeagle, the Scout is really designed for divers looking for a BCD that’s easy to move around with. It has a dry weight of 6.7 pounds, which makes it easy to carry. In a day and age where every diver would want things that can be folded and stored in their bags, the Scout folds down quickly into a compact package. Divers can travel with just one suitcase when they bring in the Zeagle Scout. And because of its size, this BCD is also easy to put into the dive bag while the boat is in motion. This back inflated BCD is also ideal for beginners because it improves buoyancy and maneuverability. There are no inflatable bladders up front or on the sides that can prove to be a nuisance. This style leaves the chest area of the diver free of clutter save for the chest straps. New divers, thus, should be comfortable underwater using this BCD. This back inflated BCD also allows better trim, in effect making the diver more streamlined under water due to the minimal drag created by the BCD. Divers will also be able to maintain a better horizontal body position underwater when they use this BCD. The low profile single bladder positioned in the back is responsible for this. The latter can also help in propelling the diver forward. This BCD also features the Bx Power inflator system of Zeagle. The said feature is a standard on all buoyancy compensator devices of the manufacturer. It’s easy to use as well, making this BCD all the more ideal for novice divers. Equipped with a 3/8 inch low pressure hose, the inflator also offers a fast disconnect mechanism. Users will be able to easily attach it to the first stage regulator. The Bx Power inflator system hooks up to a standard garden hose. This is designed to make cleaning of the bladder of the BC easy and hassle-free. To do so, unscrew the BX coupler then screw on a garden hose. Turn the water on and this would in turn rinse and clean the inner bladder of the BC. The two zipper utility pockets are also spacious enough for divers to store their accessories like dive lights and gloves. If those pockets are not enough for their stuff, divers can also turn to the four D-rings of the BC. There are two D-rings placed on the shoulders and another two located on the waist. These D-rings are sturdily built thus users will be able to attach any type of dive accessory that they might need to bring. It is very lightweight and compact which makes it ideal for traveling. It is comfortable to wear with numerous fitting adjustments. It is designed to allow users to move freely when underwater thanks to its minimalistic design and lack of bladders up front and in the sides. It features the Bx Power inflator system of Zeagle that facilities quick oral inflation. It is one of the most affordable BCDs. It doesn’t have a lot of features. It may be hard to keep the tank from shifting its weight side to side on the user’s back. The Zeagle Scout will not be in the list of the most feature-packed buoyancy compensator devices. But that won’t deter many divers, especially those who are learning the ropes so to speak, from shortlisting this product. This BCD is lightweight and compact; two qualities that appeal to novice and even seasoned divers. It is also easy to find the perfect fit with this BCD given its numerous adjustments. The minimalistic design also means more freedom for users to move underwater when using this BCD. The Zeagle Scout may be a very basic buoyancy compensator device yet it offers the essentials for a safe and fun diving expedition.